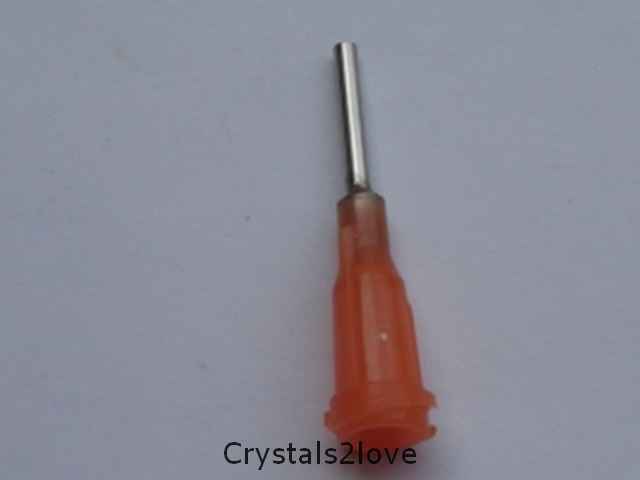 Inner diameter 1.49-1.53mm; needle length 13mm (1/2 inch). The Orange tip is 15 gauge diameter and works on thicker glue like E6000. \"The syringes are great! I\'m using the green and orange ti ..